AHI, we make it easier to do business! Your Inspection Report Is Issued To You The Same Day! I provide my clients with the information THEY NEED to make an informed decision about the home they plan to buy. In other words, I offer peace of mind! I know that I have to earn your trust to earn your Home Inspection business. That's why American Home Inspectors is proud to offer you our Money Back Guarantee! That's right, if your not satisfied with the quality of your home inspection I will refund the cost of your inspection. That is how confident I am in the quality of AHI's Home Inspection services. Need A Few Tips To Help You Pick The Right Home Inspector? Why Have So Many Families Chosen American Home Inspectors? Superior home inspection service, I go the extra mile for my clients. Client education and satisfaction is my passion. Your electronic Home Inspection report is issued to you the same day and on site. There is no waiting to receive your report. Weekend & Extended hours are available. Enjoy the flexibility of being able to schedule a Home Inspection 7 days a week. Your Home Inspection report will be computer generated and include color photos of defects, your report will be burned to CD. Peace of mind in knowing that you aren't buying "the money pit". A quality home inspector is worth far more than the cost of inspection. Hear it from the clients, read below and find just a few of their comments. Professionalism and thoroughness mixed into an easily understandable package. Join The AHI Inner Circle of Clients Today, and have your home inspected by a dedicated professional. Serving Maryland, Northern VA, and D.C.
A proper house inspection in Glen Burney will take between 2-4 hours to complete. During that 2-4 hour period you should spend as much time with the property inspector as possible. You are encouraged to ask questions and participate as much as possible. Keep in mind, this is your home inspection and the inspector is working for you. During the home inspection you are the boss and you should make the most of your time with a home professional.Contact us at 301.661.6091 to schedule your home inspection in Glen Burney, Bowie, MD and surrounding areas. Click the link below to see just a few of the systems and components that will be inspected during your Home Inspection. Let's Get Your Inspection Scheduled Today! Click Here Schedule My Inspection & Find Out Why So Many Families Continue To Choose American Home Inspectors. Common Question: "I'm Buying A New Home, Do I Really Need a Home Inspection?" 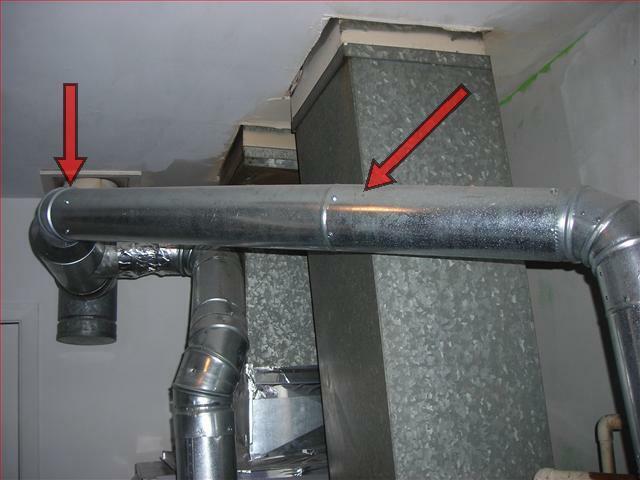 Click on the picture below to see photos and descriptions of defects that were found during the inspection of New Homes built just this year. Take A Look Below At What Previous Clients Had To Say About The Service They Received From AHI! Eric has played a very integral part in this transition phase of our lives. We first met Eric at the inspection of the home we intended to buy. We were so pleased with the professionalism and quality of the inspection that we asked Eric to come and inspect the home that we were selling. We wanted an inspection of the home we were selling so that we could fix any problems that the potential buyers might find during their home inspection. Eric is a wonderful home inspector and we really appreciate the opportunity to have met him and we will be using him in the future. Thanks Eric! As a single woman I was very nervous about buying a house. My friend recommended that I hire a home inspector before buying the house. I searched on the net and found American Home Inspectors. Eric came out to inspect my house and found all sorts of problems, most of which I had never heard of. He took his time and explained everything to me, stuff like how to change the temperature on my water to save money. The home inspection was worth 10 times what I paid. Finding the right inspector for our new home was a difficult decision. My husband and I couldn't decide whether or not we should use the home inspector that our Real Estate agent recommended or go out and take the chance of finding our own inspector. Well we're pleased to report that we went out on the web and found our own inspector and we found American Home Inspectors! Our inspector was on-time, very informative, a great communicator and very thorough. Our agent even commented that this was the best inspector she had come in contact with, she even asked him for his card so that she could recommend him for her future home inspections. We left the inspection feeling comfortable that this was the right house for our family. Washington DC- N.E., S.E., N.W. & S.W. I inspect your home as if my own family were going to live in it. Guaranteed! I'll see you at the inspection! 7 days a week with extended hours available. Gorilla's Bio- Gorilla is a Black Pug. Despite his small size Gorilla is expected to do well in his newly appointed position. What is unsafe about this photo? The connections on this flue pipe should always go male into female. Two of the connections here are female over male. This could allow carbon monoxide gases to enter the home. Click Here to see more photos and keep learning about home inspection and home safety. Take A Look At the Easy To Read ahi Home Inspection Report! We invite you to spend a few minutes to take a look at the professional yet easy to understand AHI inspection report. Simply Click on the button below. Now, Let's Get You Signed Up To Start Receiving The AHI Monthly Newsletter and Home Health Tip Of The Month. Yes Eric, Send Me Your Wonderful Monthly Newsletter. It's FREE, informative and easy to sign up. Take look at the mold in this garage ceiling. If this mold wasn't identified during the home inspection then the buyers of this property would have been facing an expensive mold remediation bill to protect the health of their family. Don't get stuck holding the bill! Hire an AHI Inspector! To see more educational photos Click on the picture above.